This is a trolling rod. 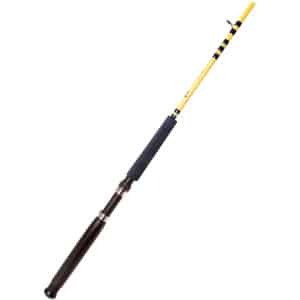 The Daiwa Wilderness 7′ is a one piece medium action rod. 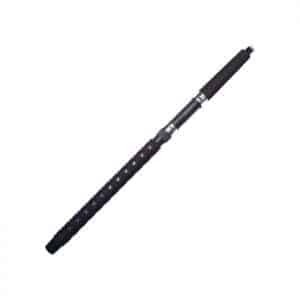 This Daiwa Wilderness 8 1/2′ rod is a two piece and medium action. Each Eagle Claw specialty rod has been designed with years of experience to target a specific fishing technique or species. Actions are custom tailored to provide ease of use and the high performance that anglers have come to expect from Eagle Claw. Okuma Classic Pro GLT Trolling Rods are fine tuned for the Great Lake’s trolling angler. 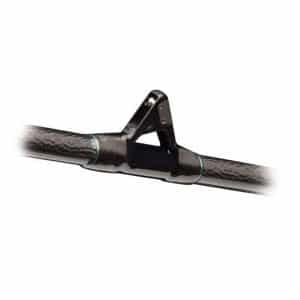 These rods feature durable construction and actions tailored specifically for use with downriggers, Dipsy Diver-type diving disks and copper and leadcore sinking wires. 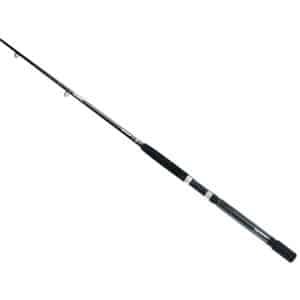 All Classic Pro GLT Trolling Rods feature fiberglass blank construction, uplocking Fuji-style reel seats with stainless steel hoods, and heavy duty, double foot stainless steel guides. Okuma’s Classic Pro Series is just that — Classic. 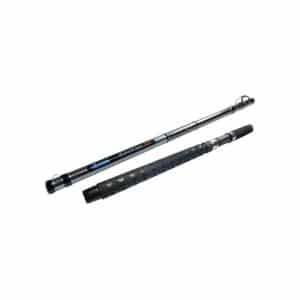 Designed to match Okuma’s star drag and line counter reels, this dependable family of rods is a great value. These clean, sleek rods are fitted with graphite and stainless reel seats, EVA grips and aluminum oxide guides. 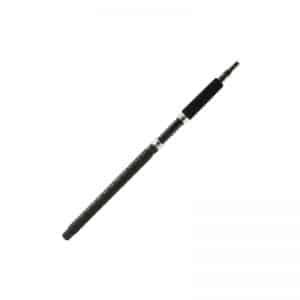 Okuma Dead Eye Trolling Rods are great economical trolling rods, packed full of features. Okuma used the most suitable blank material for the rods application. 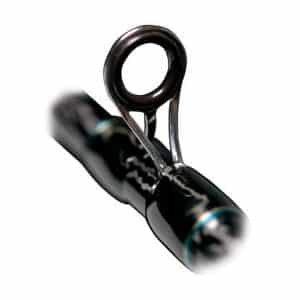 Tubular glass blanks provide for ultimate durability and the best actions in these trolling rods. These rods are perfect for all around trolling, use with planer boards, downriggers and dipsy divers. 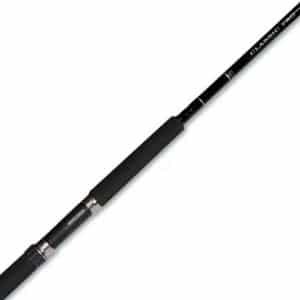 Shimano Talora Trolling Rods are some of the very best downrigger, dipsy diver, planer board, wireline and lead core trolling rods available. Talora Trolling Rods are built with TC4 Construction and are designed to be durable and bring your fishing experience to a new level. Line Weight: 15 – 30 lbs. Braid Weight: 20 – 40 oz. Line Weight: 10 – 20 lbs. Braid Weight: 15 – 30 oz.